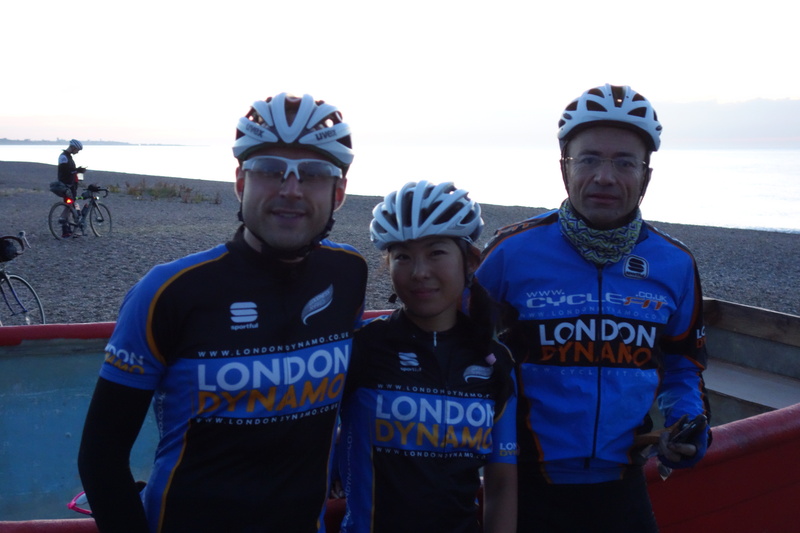 This year, for the first time, London Dynamo had a group at the Dunwich Dynamo. It’s taken us 11 years to get round to the one ride that’s practically got our name on it, and there were only a handful of us. But hey – from small acorns, right? It was, of course, huge fun going at a fair old pace through the night with my club chums en route to our breakfast on the beach. But it was during the journey back to London that I was most grateful for their presence. Thanks to an engineering train smacking into a bridge, all services from Ipswich to London were cancelled. This was obviously not the news we wanted to hear having cycled 30 miles from the beach after the century we’d clocked up getting from London Fields to Dunwich. And now it had started to rain. To get home, we had to take a train to Colchester and a cab to Chelmsford, where we ran back and forth with our bikes between two platforms because no one had a ruddy clue when or where the two trains were going to arrive. What a bleedin’ palaver. Having had practically no sleep, lesser riders would’ve crumbled under the pressure of the dangerously large crowd packing out the platforms at Chelmsford and the general ineptitude of the station staff. So I’m grateful to Andres Roldan (left in the photo above), Lily Liu and Nick Dove for maintaining their calmness and good humour throughout. I’m particularly indebted to my former neighbour Nick for seamlessly executing my rather hazy plan to get us into a people carrier at Colchester just as some cyclists appeared to be on the verge of seriously losing their rags in the station’s car park. Next year, I hope, we’ll either be on one of Southwark Cyclists’ excellent coaches or in a specially-commissioned Dynamobile. If you want to know about the Dun Run itself, you can read a short piece I wrote for Road.cc. I also took some photos as the sun came up which you can view over at Exposure. This entry was posted on	July 13, 2015 at 2:32 pm	and is filed under Uncategorized.